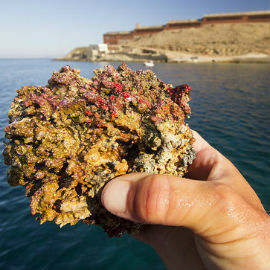 Even though terms like integrated management, marine spatial planning, sustainable fishery and development, are still relatively unknown to the general public and especially difficult to apply them in practice, they will progressively take shape and will play a vital role in the successful implementation of the “CYCLADES LIFE” project. 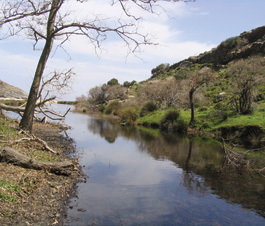 Achieving the ambitious objectives we have set, requires the implementation of concrete actions that will bring us one step closer to the project’s core mission: the effective design, establishment and management of the new Marine Protected Area (around the island of Gyaros) and the promotion of the sustainable development of the wider area of Syros and Andros. 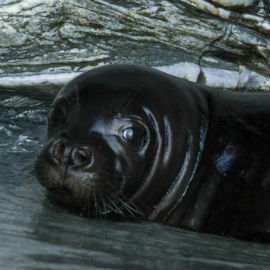 o The project’s team will collect baseline scientific knowledge regarding specific marine and terrestrial habitats and species through a series of field research actions that will provide the necessary information to develop the appropriate proposals for the effective conservation of the wider Gyaros area. o The project’s team will document and analyze the vital socioeconomic trends and structures of Syros and Andros and will use the findings in order to formulate the necessary measures towards an integrated management plan for the area. In parallel, these findings will be utilized to identify the key stakeholders (local groups, bodies, entities and representatives of professional, governmental or civil society institutions) who have an active interest in the area. o The “CYCLADES LIFE” team will formulate, with the participation of the key stakeholders, a “Consortium of Stakeholders” that will contribute to the effective design of the Marine Protected Area and will gradually participate in the co-management of the area. o The project’s team will develop all the legal prerequisites and the competent authorities, which are also project partners, formally adopt the conservation measures and management proposals and will legally establish the wider Gyaros area as a new Marine Protected Area. o As part of a series of concrete conservation actions that will be implemented in the Gyaros island, an innovative monitoring and surveillance system, will be designed, installed and implemented towards ensuring the proper enforcement of conservation and protection measures in the area. o A series of informative and educational tools and actions will be produced and will be utilized to inform, sensitize and motivate the public, aiming to promote the active participation of the stakeholders’ groups in the conservation efforts towards protecting the wider Gyaros area. 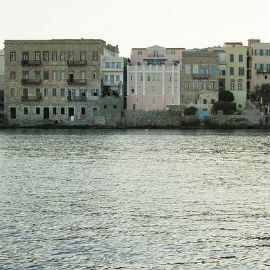 o The local community of Syros and Andros (fishermen, tourism sector, students, etc.) will have the opportunity to attend and participate in a number of open public events, educational activities, practical workshops and seminars.